Not everyone holds a doctorate in high-energy physics, and even fewer hold records in developing the fledgling Internet, but Yohei Morita holds both. Morita is a physicist totally at home with high-energy physics, having spent years working with hundreds of researchers from overseas in constructing a huge detector to study and analyze the complicated nature of the universe. His curiosity led to studying computer networks while he was involved in computational data analysis at the University of Tsukuba, where he was working on his doctorate. As a special researcher with the Japan Society for the Promotion of Science, the physics research institute called the High Energy Accelerator Research Organization (KEK), he had the distinction of being the first person in Japan to ever establish a homepage on the world wide web, on a server at KEK on September 30th, 1992. That transformed his life. He was eating lunch at the European Organization for Nuclear Research (CERN) when he talked with a developer of the worldwide web, Tim Berners-Lee. Tim told him “The world wide web will change the way we exchange information in our life. Would you like to adopt it in Japan?” Back at the office at CERN the same day, Morita logged directly into the FTP server at KEK, made a folder, and created the first Japanese homepage, entitled “KEK Information”. 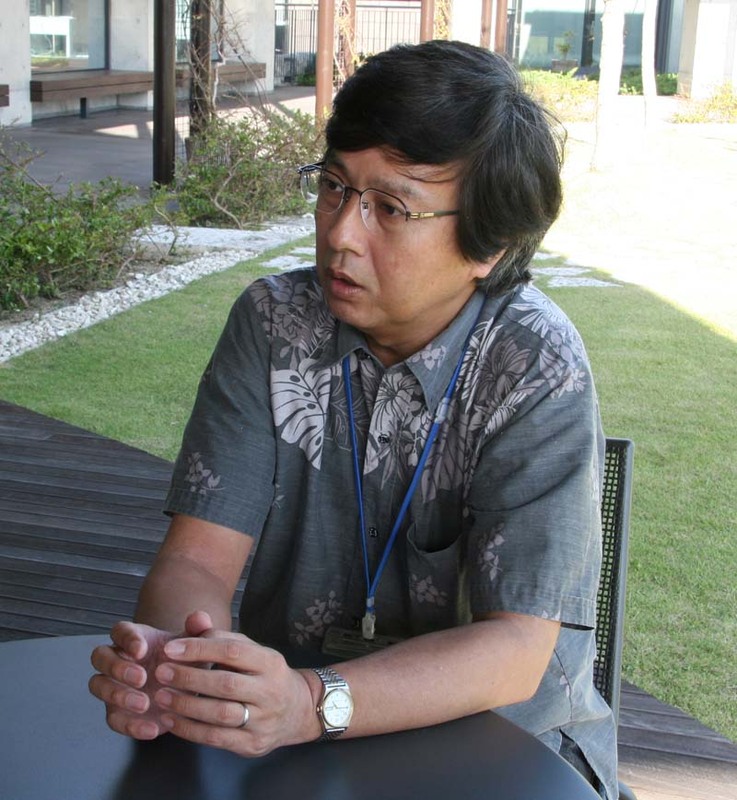 Today, as the Associate Vice President of the Okinawa Institute of Science and Technology Graduate University (OIST) in Onna Village, Morita has come a long way. He’s wearing dual hats as a Conference and Workshop Section Leader, and also is involved in communication and public relations activities at the new graduate university that started this fall with 34 students from 18 countries. Five of those students are Japanese, but the official language at OIST is English. Morita explains that OIST has five basic concepts, including becoming a world-class research institution, providing the highest level of education in science and technology, and training talented persons who will ultimately become leaders in either academia or industry. 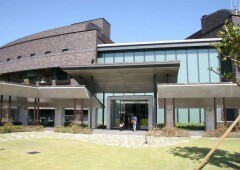 OIST is committed to being international, with more than half the faculty and students drawn from outside Japan. 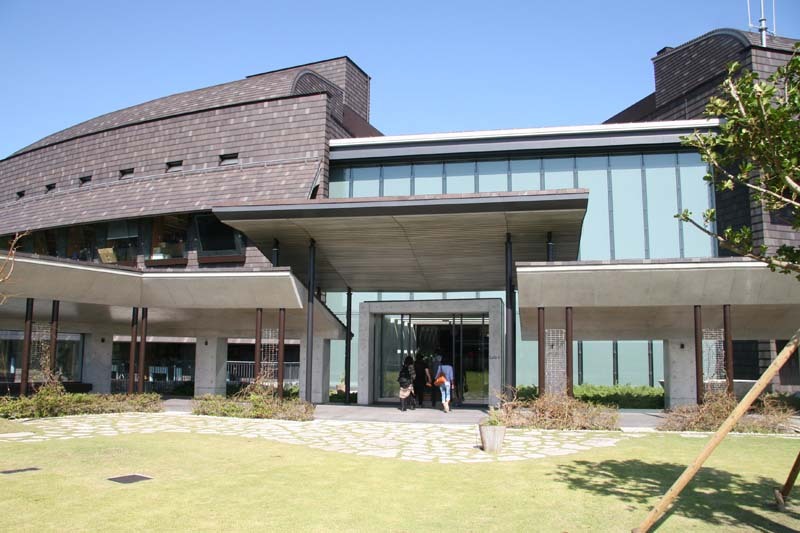 OIST maintains global networking, conducting studies in cooperation with other universities and facilities, especially in the Asian and Pacific Ocean areas. It also collaborates with industry, commercializing new technologies developed here and elsewhere. Morita explains that OIST opens its facilities to the public, and shares experiences with visitors. 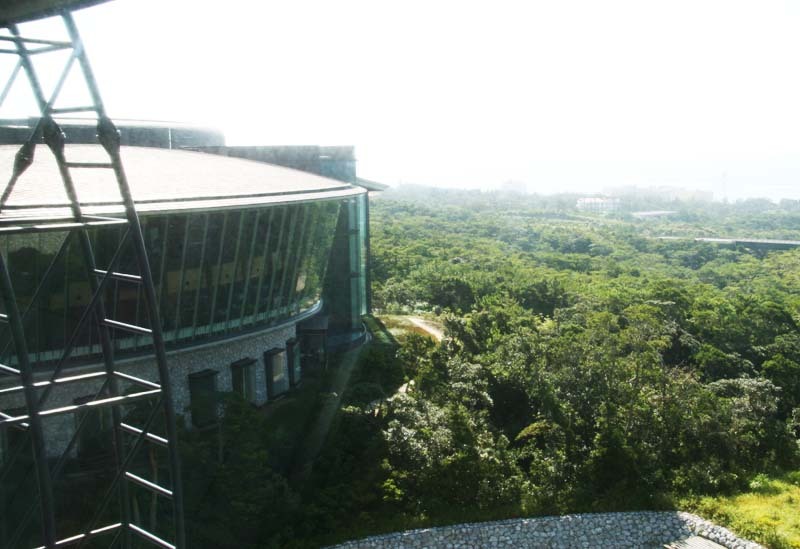 Situated on a jungle-covered hill, OIST’s buildings were designed and built by Kornberg Associates Architects and Nikkei Sekkei and Kuniken Inc., creating an exceptional environment for research. The buildings and their roofs are shades of brown, gray, and black so that they harmonize with the surrounding landscape. Physicists have spent years working with engineers and researchers from various countries, exchanging large amounts of information more easily, and Morita has done his part by creating a network environment for research. Morita says, “Tim’s web allowed us to create a system for publishing information faster and more easily, worldwide.” In 2001, a science and technology commentator at NHK, Yuichi Takayanagi, became the first head of a high energy public relations section, and he chose Morita as the person to organize the homepage. 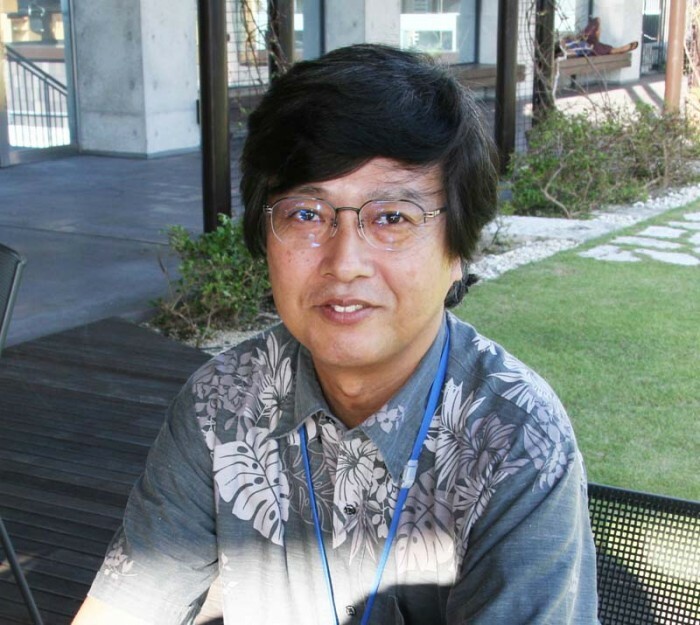 When Takayanagi reached retirement age in 2003, Morita was promoted, joining the network of high energy physics communicators around the world. This group holds meetings twice a year to discuss communications of research. Morita built close relations with other public relations specialists, including Neil Calder, then head of communications at SLAC National Accelerator Laboratory. 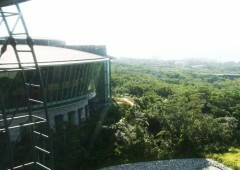 Another goal is to promote relations between OIST and the local community. “We want to become better acquainted with local residents, and want them to visit and feel that ‘OIST is our graduate university.’” His most fervent goal is to get kids interested in science, encouraging them to enjoy science with classes, screening movies, and ice cream making using liquid nitrogen. These and other OIST specials will strengthen community relations.